With Halloween looming darkly on the horizon, readers are gearing up for Frankenreads, an international celebration of the 200th anniversary of Mary Shelley's Frankenstein. 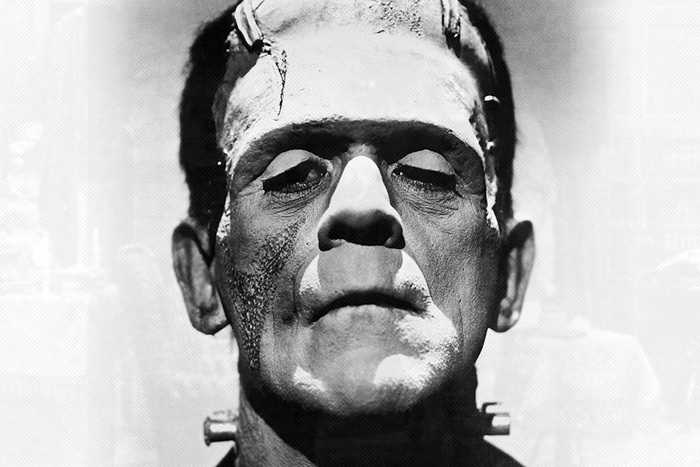 The worldwide celebration of one of the most acclaimed horror novels of all time finishes off Frankenweek, which runs October 24-31, and Dickinson has its own slate of events. In fact, according to Romantic Circles, a peer-reviewed website dedicated to Romantic-period literature and culture between 1910 and 2005, no less than 75 feature films have been made across the globe featuring Dr. Frankenstein and his monster. And it’s also one of the most widely read books in college classes. Tuesday, Oct. 30, 7-10 p.m.: A screening of Gods and Monsters will be held in Denny 317 with a panel discussion—with Assistant Professor of English and Film Studies Greg Steirer, Professor of Creative Writing and Writer-in-Residence Susan Perabo, Assistant Professor of English Sarah Kersh, and Nichols—and Q&A to follow. Wednesday, Oct. 31, 3-4 p.m.: A reading of selections from Frankenstein will be held in the Fishbowl in Waidner-Spahr Library, with a reception to follow. Wednesday, Oct. 31, 4-4:30 p.m.: A reception with refreshments will be held to officially open the exhibition Frankenstein: Sources, History, Influences in the Fishbowl (exhibit until November 14). On Oct. 31, the Library of Congress will host a livestreamed public reading of the novel, beginning at 9 a.m. EDT, from its historic Main Reading Room, a first for that historic setting.